NSU’s celebration of Black History Month continues with provocative panel discussions, jazz in the gallery, children’s programming and more. Panel discussion topics include diversity in law school, mentoring minority students, exploring cultural differences in working effectively as a psychotherapist within the Black community, and much more. Additionally, NSU will host an intimate night of poetry and spoken word. 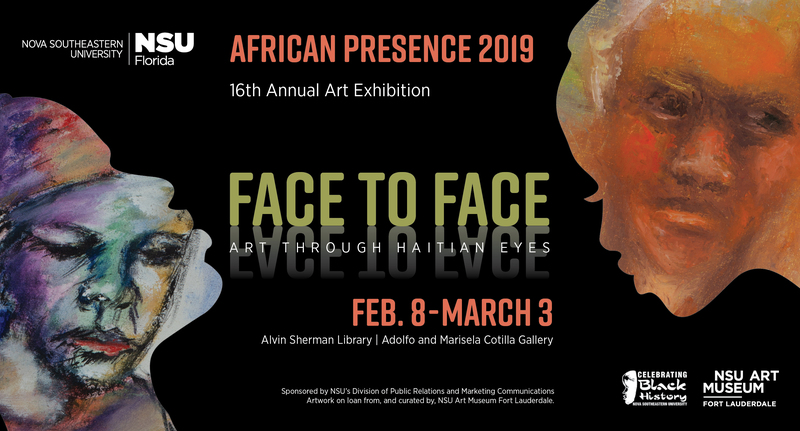 For art lovers, on display through March 3 is the African Presence Art Exhibition, “Face to Face,” an explosion of colorful, mixed media pieces created by artists of Haitian descent. The exhibition may be viewed in the Cotilla Gallery, 2nd floor of the Sherman Library. For a complete listing of Black History Month events, please visit www.nova.edu/blackhistory.